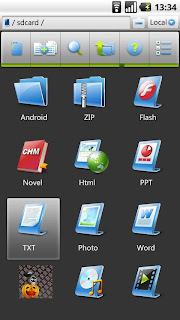 ES File Explorer Android is a free, featured all-in-one file manager, application manager, task killer, dropbox client, ftp client which explores your phone and your computer. ES File Explorer allows android users anywhere in the world to manage their resources for free, it makes easy to manage, stay connected using your 3G, EDGE or WiFi, and share with friends, upload photos, watch videos. 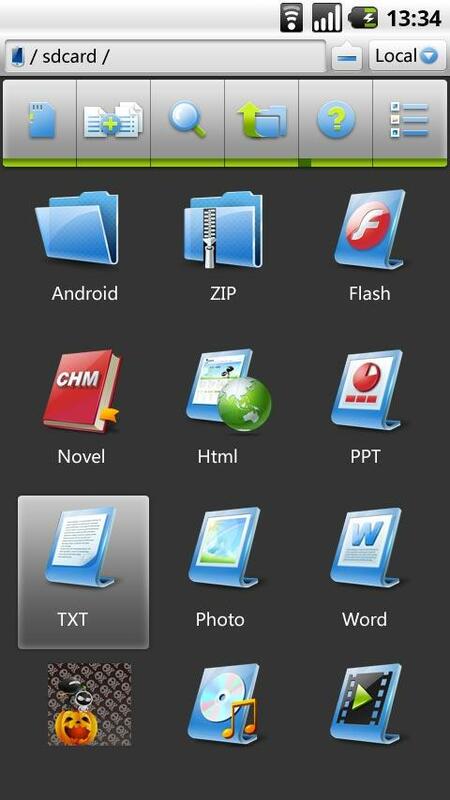 * File Manager -- Operate files(Copy, Paste, Cut/Move, Create, Delete and Rename, Share/Send) in the phone and computers. * Multiselect files, Search files , Text viewers and editors. * Compress and Decompress ZIP files, Unpack RAR files, can create encrypted (AES 256 bit) ZIP files. * View Different file formats, photos, docs, videos anywhere, support third party applications such as Document To Go to open document files. * Thumbnails for APK,images, and with an inbuilt image browser. * Dropbox, it's an enhanced dropbox client other than the official version. It can save photos and videos to your dropbox and share your photos and docs, easily edit docs in your Dropbox. * Developers can visit our website for the developer interface for picking files from your applications, email attachments etc. # Mail to us if any issue.